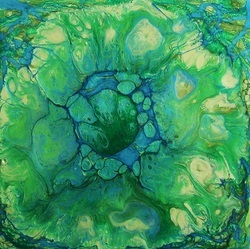 ZEN BLOSSOM is painted with mixed media paints on a 6"x6" Aquabord panel. 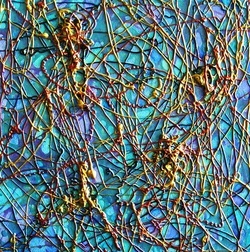 WATERCOLOR TAPESTRY is painted with mixed media paints and watercolor paint on a 6"x6" Aquabord panel. 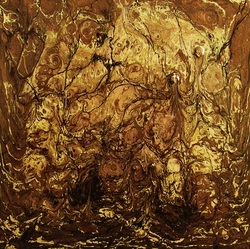 UMBER DREAM is painted with mixed media paints on a 6"x6" Aquabord panel. 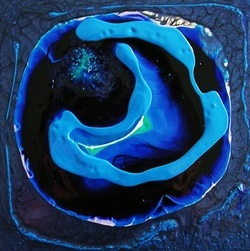 BLUE GALAXY is painted with mixed media paints on a 6"x6" Gessobord panel. 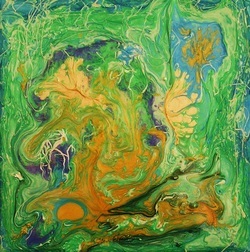 FLORAL GARDEN is painted with mixed media paints on a 6"x6" Gessobord panel. 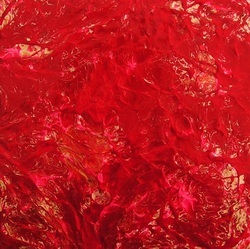 RED CARNATION is painted with mixed media paints on a 6"x6" Gessobord panel. 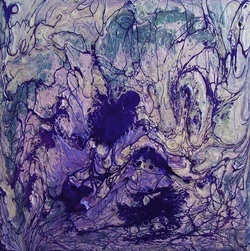 PURPLE DREAM is painted with mixed media paints on a 6"x6" Aquabord panel. 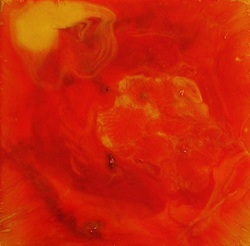 MARIGOLD RED is painted with mixed media paints on a 6"x6" Aquabord panel. 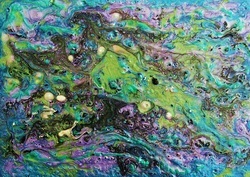 OCEANIC LIFE is painted with mixed media paints on a 5"(H) X 7"(W) Aquabord panel.